I felt like I went to work in my pajamas. I was skeptical about the liner especially in the pants, but they felt great. All the girls in my office want some too! Fit is true to size. So soft and comfy! The look is very sharp and professional. I have been a nurse since 1994, and all this while, I have had to sacrifice a professional appearance for comfort and ease of movement. Twice as Nice Uniforms eliminated this trade-off and actually takes it a step further. 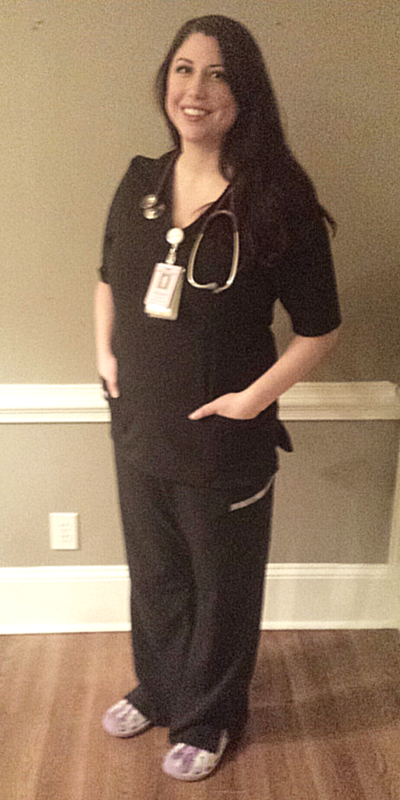 I no longer feel frumpy in scrubs! The silky fabric and elegant design makes me look nice enough to go to a restaurant or gathering after work. The fabric is lint-resistant – even my cat’s white hair doesn’t cling to my new navy scrubs! And there’s been no fading with multiple washings – and I didn’t even remove the liner. 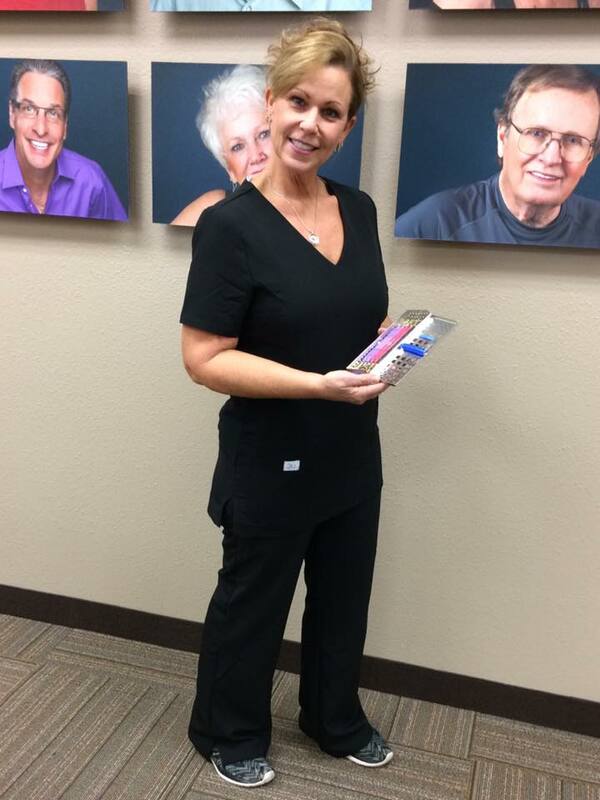 The hidden liner does not bunch up and feels soft and comfortable against your skin, and it helps the scrub shirt and pants to always lie perfectly in place without wrinkles. The liner truly keeps you warm when it’s cold. I no longer have to wear long underwear and jackets with my uniform. I look forward to wearing them every day to work and get compliments all the time! Thank you, Twice as Nice! 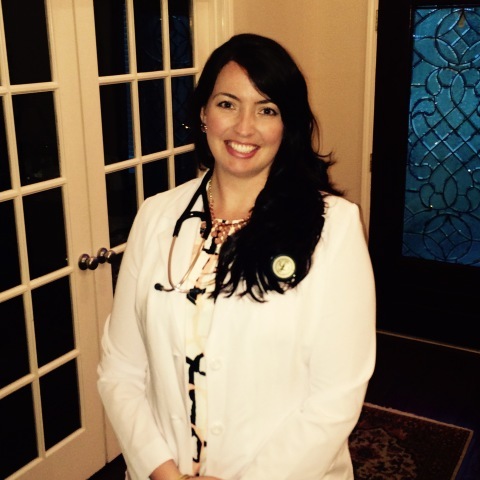 "Twice as Nice uniforms have put the Professionalism back into my clinical attire. As a Practice Administrator, many times I need to go in back and help the clinical team, but I still want to dress the part of a leader. 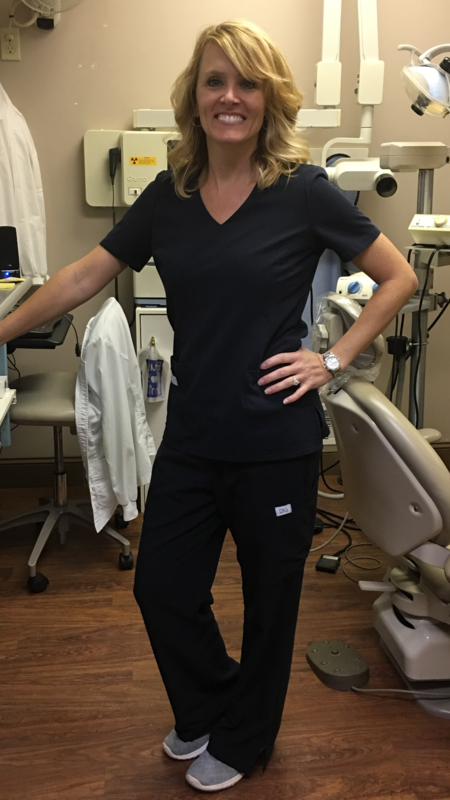 The look and feel of the Twice as Nice lab coat is amazing, keeping me cool when needed due to the hustle of the dental office. " As a tall and curvy girl, I have had a rough time finding scrubs that fit me in the perfect way. If they were long enough, they were too big and boxy. If they were right size at my waist, they were too tight at my chest and hips, etc. For me, uniform shopping was almost as bad as swimsuit shopping. I hated it! With my Twice As Nice scrubs, I have finally found a pair of scrubs that makes me feel professional and stylish at the same time! They are flattering AND fit me perfectly. The top is cut long enough that I don't have to worry about it riding up in the back when bending over. The bottoms are also long enough that I no longer show off my calves while sitting down! The fabric is so soft, they feel luxurious to wear! The inner liner helps me stay warm when the OR is freezing, and cool when I am running around on busy nights. It actually whisks away excess moisture so I don't sweat through my scrubs in an emergency-- no matter how much adrenaline is pumping though my veins! Thank you Twice As Nice! I honestly did not think that the thin lining in your scrubs would keep me warm. 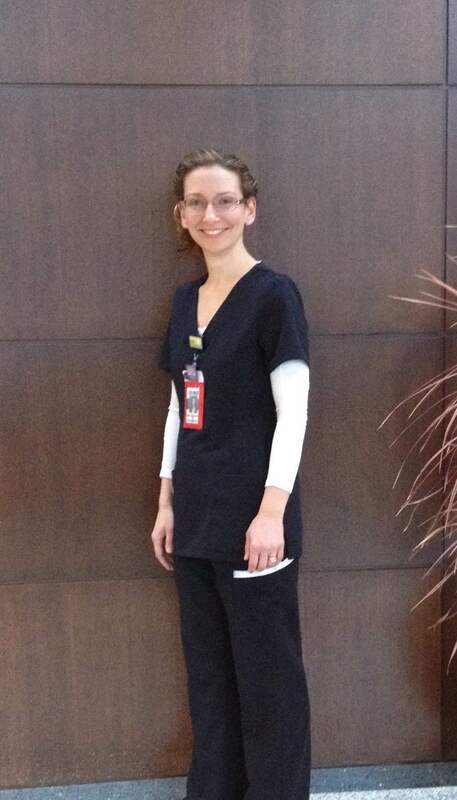 But, it really works – my core stays warm without the need for long sleeve tshirts under my scrubs. This gives me the freedom of movement I need to work on my clients. Thank you. 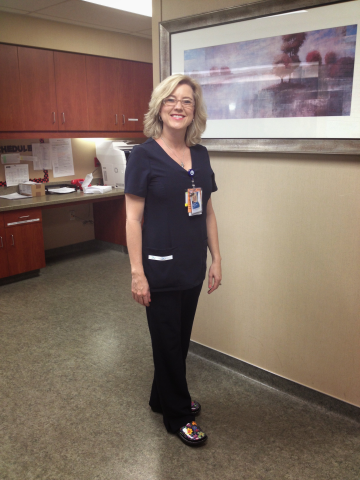 Twice as Nice Uniforms are made from a soft, “moves with you” fabric that feels great and keeps me warm in a cold ER! You had me at "liner"
You had me at “liner”! These scrubs are unlike any other scrubs out there......and thank goodness for that! Finally, a fit that is feminine and professional looking with the comfort of sleepwear! I didn’t want to take them off. I usually start heating up mid-day and dislike having to turn a fan on in my operatory. These Twice as Nice pieces, in the Debora fit, kept me comfortably cool all afternoon! The ease of care is exceptional .... I machine washed and dried all pieces with no wrinkles or shrinkage! They say 1st impressions make all the difference! When you look good, you feel good. You are more positive, productive, and get recognized not only for your professional appearance, but people feel more secure and confident with their health in your hands! 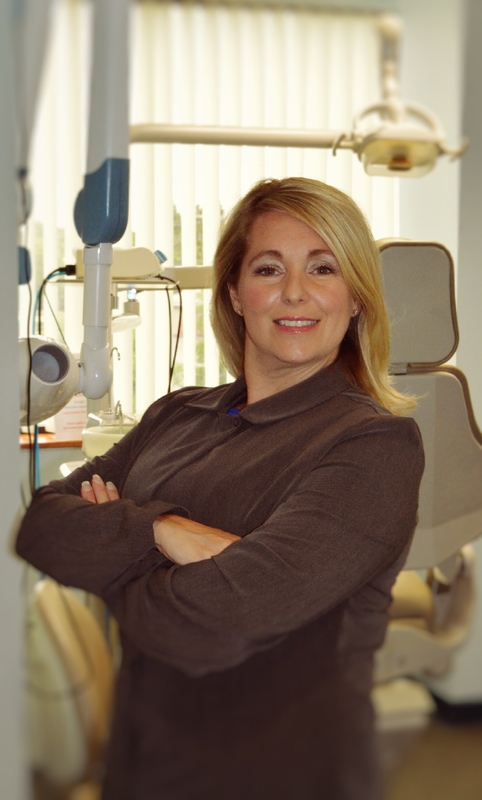 To me, giving my patients the impression and feeling that they are in good, capable hands is priceless! Twice as Nice uniforms are AMAZING! When I first put it on I really did feel different, prouder, and more professional in the uniform, and I was only in my bedroom! I couldn't wait to show them off! Now, after my first weekend at work, I'm sold! I received so many complements on my professional tailored appearance. I was even told that I should be a model for a Posture Magazine because of how I was carrying myself. I felt proud and confident. You could actually see my figure, thanks to the tailored fit, after having worked for 10+ years wearing at least 4 layers (one of which was a turtleneck). The innovative liner kept me cool and comfortable while running around and very busy, as well as warm while sitting still charting in the middle of the night! After the 1st night, I didn't want to go back to my old scrubs, so I immediately got home and washed them while I slept. When I pulled them out of the dryer they looked brand new, neat with no wrinkles or lint stuck to them and no static like my old scrubs always had. THANKS Twice as Nice for an Amazing product that will surely change the way it's owners feel about themselves and their profession for years to come! I am loving this uniform and so glad I don't have to worry about it fading. It is well made and the lining makes it warm as well as comfortable! These scrubs are BRILLIANT. They make me feel glamorous and comfortable. The innovative liner lets me regulate my own comfort. It solves the problem of looking like a Rubik's cube in my scrubs and freezing in the winter time. I can control my temperature with the removable liners. I feel like a princess in my dazzling scrubs and I have a hard time taking them off when I get home. They are so comfortable! Hospitals are a cold environment and this uniform is absolutely perfect. No more triple scrubs and bulky tees to stay warm! Hooray!! The material is lightweight and the fit is sleek and adjustable. This should be a ‘must have’ for anyone wearing scrubs. The lab coats fit perfectly. The linings help you adjust to changing temps and keep the germs at bay. Brilliant! Congratulations and kudos to the innovate Twice as Nice team! Thank you Twice As Nice! I love your scrubs. They look so professional, but they are also very comfortable. I am not skinny and I was afraid the scrubs might not look good on me, but they are very flattering. It is so nice to have a uniform that doesn’t look like a box. And most of all, they keep me warm without any extra bulk! Goodbye hoodies! I am so happy to have found your scrubs! Well worth every penny!!! We love our Twice as Nice Scrubs. The fabrics are stretchy, comfortable, and breathable. No more bulky layers! We especially like that they are made in the USA. 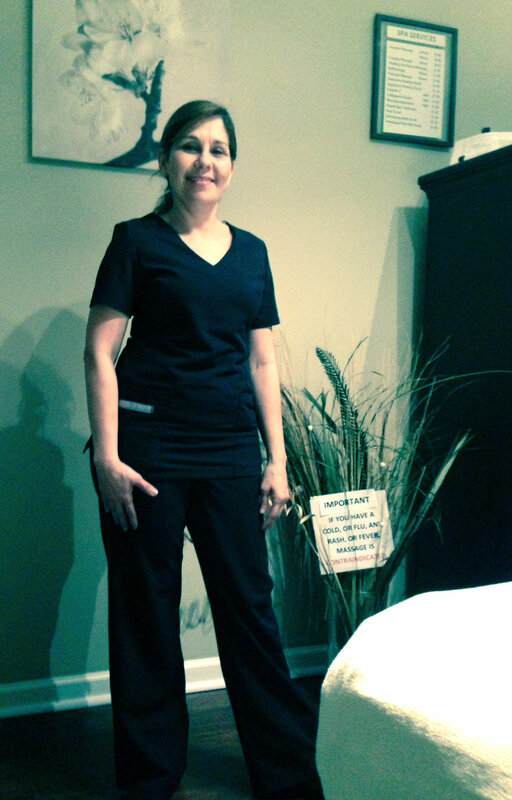 We have been telling all our coworkers about this new product that changes how you feel in your scrubs. I would recommend these beautiful scrubs to anyone. The inner liner was designed perfectly and doesn't feel bulky. They stretch with me while I'm working on patients all day and don't feel constricting. You feel as if your wearing your favorite sweatpants but you look like your wearing a suit! Oh and they are perfect right out of the dryer! These sleeves are wonderful. They come up high enough and go to the wrist. They are also tight enough that they do not slide down. They definitely meet OSHA standards. 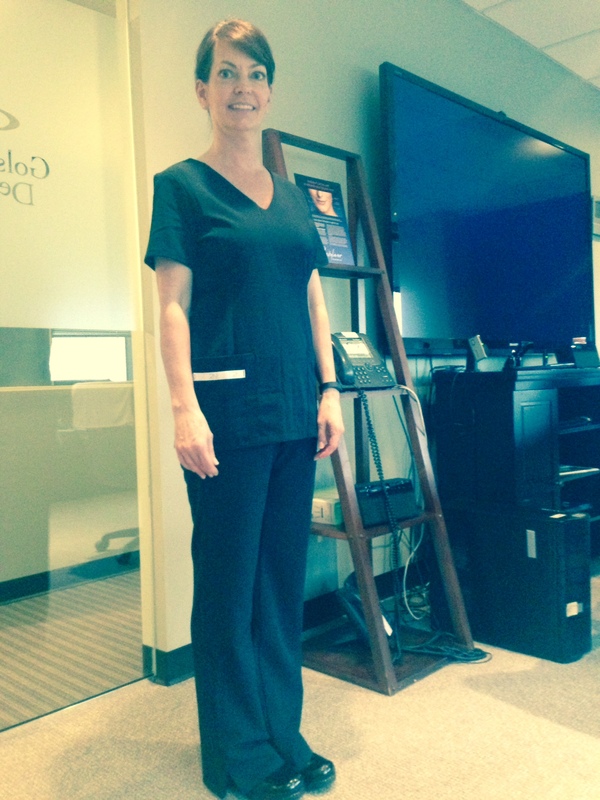 Deborah's uniforms are fantastic; however, if you have other short sleeve scrubs you can still use these sleeves.